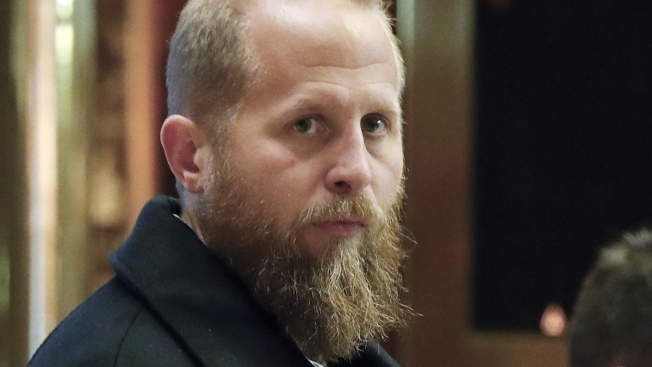 FILE - In this Nov. 15, 2016 file photo, Brad Parscale, who was the Trump campaign's digital director, waits for an elevator at Trump Tower in New York. President Donald Trump's campaign manager on Tuesday called on his boss to fire Attorney General Jeff Sessions. "Time to fire Sessions End the Mueller investigation," Brad Parscale wrote in a tweet. "You can’t obstruct something that was phony against you The IG report gives @realDonaldTrump the truth to end it all." The "IG report" Parscale referred to is the Department of Justice inspector general's report that faulted then-FBI Director James Comey for violating protocol in publicly discussing the investigation into Hillary Clinton's email and his handling of a related disclosure about information found on former Rep. Anthony Weiner's laptop, NBC News reported.